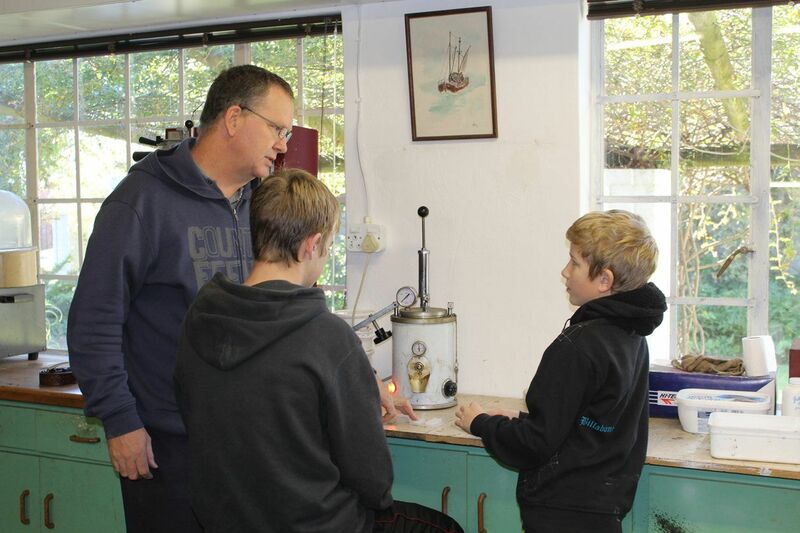 At Palmer's Armoury, it is the sense of accomplishment that drives us to produce some of the finest handcrafted, scale model cannons for sale in the world. Each carefully planned step in the process of producing these fine art pieces is designed to produce a world class model that will solicit a "WOW" from anyone viewing it. We love to share that sense of accomplishment with those who work with us. We work hard to ensure that passion and pride are evident in each cannon we produce. For those who purchase a scale model cannon kit, they too should share in that sense of accomplishment when they have completed assembling their model and are able to sit back and view the fruits of their labour. For others who have the privilege of owning a beautifully handcrafted silver cannon model, we trust that they will celebrate their model as a legacy of what they have accomplished during their lifetime. Through their majesty, authority and power, cannons certainly create the WOW factor through their presence on a battlefield. At Palmer's Armoury, we are captivated by the evolution of these stalwarts of war, the impact that they have had on history and take pleasure in sharing some of their stories with you. Innovation, Quality and Growth are the driving factors for us at Palmer's Armoury. Our "permission to play" values, those values that allow our team members the opportunity to work in the business include Integrity, Family and Fun. Our vision at Palmer's Armoury is to create a range of the most breathtaking model cannons available for sale anywhere in the world using precious metals. Zane's dream is for these models to be internationally sought after with his ultimate goal of receiving a commission for a cannon with a price tag of R 1 million. 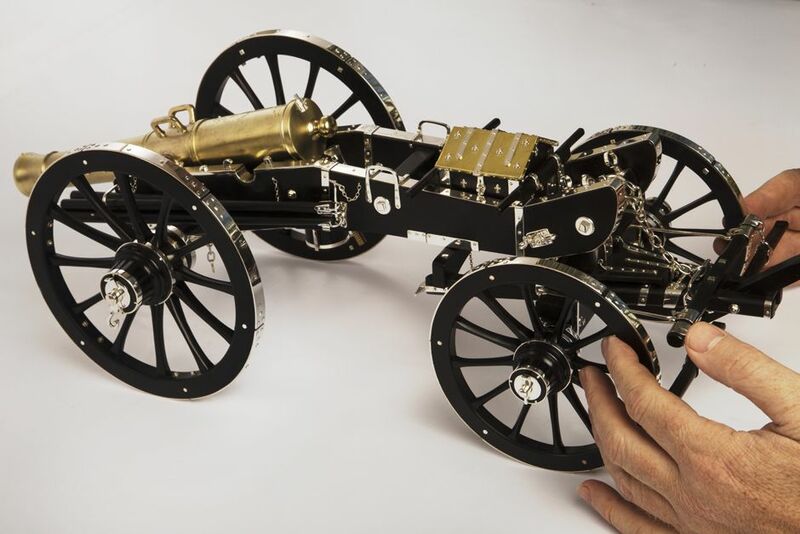 For those who aren't able to own a piece from the main collection, to create a range of Do-it-Yourself models, Palmer's Mini Collectibles, that offers enthusiasts the opportunity to assemble a mini cannon collection of their own. Palmer's Armoury identifies cannons around the world with an interesting story to tell and produces a range of scale model cannons mainly in black wood and sterling silver. Various other materials such as Burmese teak, ebony, oak or cherry may be used for the carriages with occasional use of steel (Long Cecil / Long Tom), zinc, resin, brass, bronze or gold gilding and gold leaf to represent the original metalwork. Each Palmer's Armoury model is painstakingly researched eg the gun's history, original drawings .... and then accurately rescaled and modeled resulting in a quality model.